Twin-turbo V8 vs. twin-turbo V12? Life's full of tough choices. First things first: no matter which engine you opt for in the new Aston Martin DB11, the car itself is still very much a grand tourer. 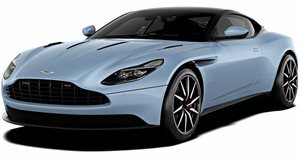 If you’re looking for something else, something more Porsche 911-like, then wait for the upcoming redesigned Vantage. But in the meantime, Aston Martin offers two equally wonderful engine options for DB11 buyers: a twin-turbo 5.2-liter V12 with 600 hp and 516 lb-ft of torque and a new Mercedes-AMG-built twin-turbo 4.0-liter V8 with 503 hp and 498 lb-ft of torque. On paper, their specs are pretty darn similar although, not surprisingly, the V12 is the more expensive choice. But is it the better choice? Carfection recently got behind the wheel of the new DB11 V8 and took a weekend road trip to Andorra, a tiny mountainous principality located between France and Spain. With stunning scenery all around and challenging mountain roads, the DB11 V8 was more than up to the task and handled the pavement with ease (save for a punctured tire). For those who prefer more precise power delivery, the V8 may, surprisingly, be the better choice. Of course some buyers will always opt for the brawnier V12 just because it’s a V12. And that’s fine, but any Mercedes-AMG engine, especially this one, should never be underestimated.